With over 20 different products, we picked the 5 best vitamin supplements for acne which we think can really help you deal with your skin breakouts. They were chosen based on their ability to control the most common causes of acne, such as excessive oil production, clogged pores and inflammation. Addrena Acnetame is a popular choice for acne sufferers. It promises to improve your skin in just a month. It contains Niacin, Biotin and Selenium to address your existing acne while preventing new breakouts. The supplement is just around the size of your typical capsules, which means you wouldn't have any trouble with swallowing it. 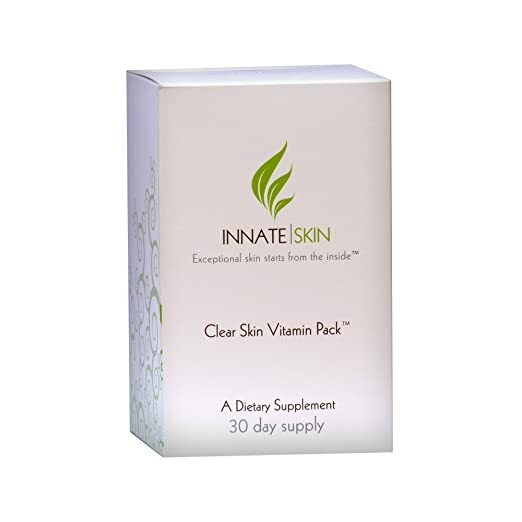 C﻿lear Skin Vitamin Pack for Acne, on the other hand, has Vitamin A and D3. It also has pantothenic acid to clear your acne. What makes this supplement good against skin breakout is its Zinc content. If you have mild acne, this one is a must-try for you. 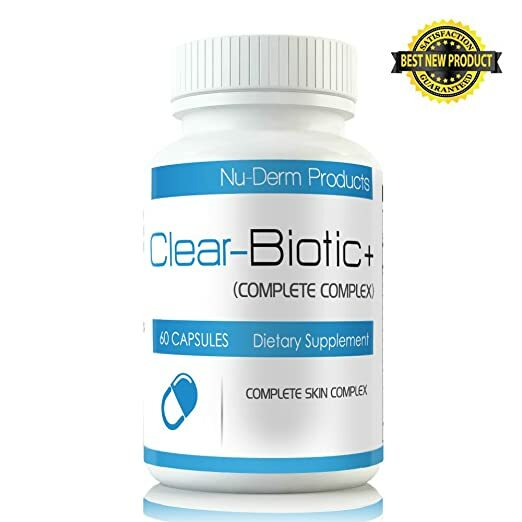 Clear-Biotic + isn't only great against acne, it's also recommended for skin issues like eczema. It contains probiotics to improve your gut health and address the internal factors that could be causing your acne. In case you are looking for something natural, then Le Fair Complexion Formula is for you. It has a long list of vitamins to boost your skin's health and give you extra energy as well. Although effective, you have to take note that this supplement needs to be taken up to 4 times daily to get the best results. Murad Pu﻿﻿re Skin Clarifying Dietary Supplemen﻿﻿t can help clear your acne in just 6 weeks. It has a potent vitamin A content to get the job done. It's great for people suffering from moderate to severe acne. Keep in mind, however, that this supplement has a distinct scent. This product has been a popular choice among acne sufferers. It’s considered to be one of the best natural supplements for acne. However, just like with any other supplements, it can take awhile before you see any drastic improvements in your skin. For Addrena Acnetame, it can take around a month. A lot of its users were impressed that the supplement actually works. They experienced no additional breakouts as soon as the product started taking effect. The product isn’t coated, which means that it doesn’t carry any unpleasant scent. For the size, it’s the same as your typical capsules. 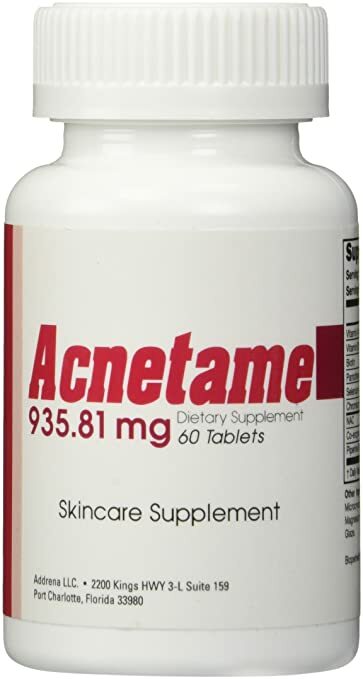 Addrena Acnetame works great in combatting hormonal acne. Most of its users rely on it in controlling their skin’s excess oil production. Some of them, meanwhile, take the supplement in conjunction with their topical acne treatments. As for content, Addrena Acnetame has Biotin and Selenium which work great in addressing blemishes and inflammation. It also has Niacin to improve the circulation in your skin while reducing oil production. Clear Skin Vitamin Pack for Acne contains vitamins A, D3 and Pantothenic Acid. Its combination of ingredients makes it great in controlling hormonal and stress-related acne. You can also find zinc in this product. And it’s not just any form of zinc. This supplement contains the most bioavailable form of the mineral, zinc picolinate, which is considered to be the most effective when it comes to clearing acne. The product works well in preventing major skin breakouts. You have to remember, however, that it does take some time to work. While some of its users were able to see an improvement in their skin in a matter of one month, there are also users who experienced the supplement’s effect after two months. One downside of the supplement is its size. There are a handful of people who found the pills too big to swallow. Probiotics have long been found effective in treating acne and that’s exactly the principle behind this product. Containing Lactobacillus Acidophilus, Bifidobacterium Bifidum, and Lactobacillus Bulgaricus, this supplement is great for cases of acne, eczema and other skin conditions. It strengthens your gut to improve your immune system’s resistance against acne-causing bacteria. And if you’re wondering why, research suggests that maintaining a healthy gut is essential for a healthy skin. Aside from these healthy microorganisms, the supplement also has vitamins A, C, E and B2. This combination of vitamins and probiotics can really help people who have been taking antibiotics for a long period of time for their acne. Consumers report seeing less redness and breakouts after taking the supplement. They also noticed their skin oiling up less. One important thing to know about this supplement is that it utilizes gelatin capsule. If you are allergic to beef, you may want to skip taking it. There is no allergen warning in its packaging which can be a major deal breaker. 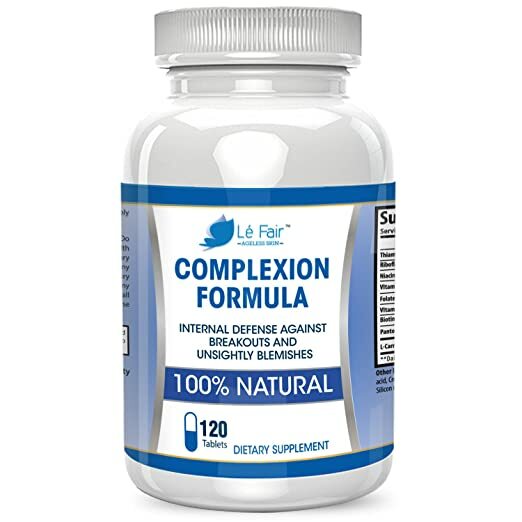 Le Fair Complexion Formula contains 100% natural ingredients. It has a long list of vitamin content, including B vitamins, Biotin and L-Carnitine. The supplement is particularly intended for people dealing with persistent acne, blackheads and skin redness. It’s also good to use on hormonal and cystic acne. Most of its users were actually people who visited dermatologists and have applied a lot of topical acne treatments on their skin. However, after deciding to take the supplement, they saw a dramatic improvement in their skin breakouts which they failed to see in their previous management. Aside from treating acne, the supplement’s L-carnitine can also give you an extra energy boost. It can also help improve the function of your heart and brain. The pills don’t have any distinct taste or flavor. They aren’t small as well. 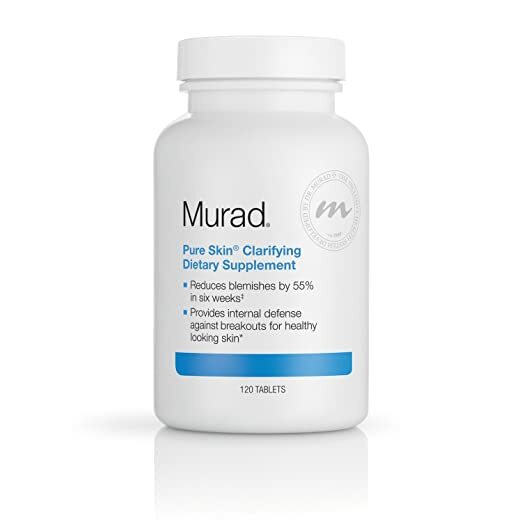 Murad Pure Skin Clarifying Dietary Supplement claims that it can reduce your skin blemishes by as much as 55% in just 6 weeks. It’s a vitamin A-based supplement that also has natural anti-acne ingredients like Yellow Dock and Burdock. These ingredients help the supplement become effective in preventing clogged pores, healing existing acne and reducing the inflammatory reactions on your skin. It’s ideal for people who are dealing with moderate to severe acne. The pills are dark in color and carry a distinct smell. In comparison to other acne supplements available in the market, this one is a bit on the pricey side. Take 1 tablet 4 times a day. Frankly, everyone. But if you’re particularly acne-prone, adding multivitamins and supplements to your diet can help boost your immune system, which plays an important part in preventing skin breakouts. Teenagers, as well as women undergoing menopause, are frequently affected by acne. One of the most common reasons is their hormonal imbalance. Supplementing their diet with the right vitamins and minerals can help bring back their body’s homeostasis or balance. If you are one of these people or your diet simply lacks the nutrients your body needs to defend itself, then taking supplements can help you with acne control. Although taking vitamins and supplements can help you battle skin breakouts and acne scars, it’s not enough that you take just any supplement. You have to know the best vitamins to take for acne. Let’s do a quick rundown of the vitamins and minerals you need. Zinc is highly known for its ability to help with the treatment of acne. It can fight off bacteria-causing acne, without the risk for resistance which can typically happen with prolonged use of antibiotics. However, one thing to note is that Zinc isn’t as thorough in eradicating bacteria. It can only help to a certain extent. Aside from this effect, Zinc can also reduce inflammation, which is a key factor in treating acne. It can also block the effects of certain hormones that can cause skin breakouts, such as DHT or Dihydrotestosterone. Vitamin D3 or cholecalciferol is the most recommended form of vitamin D. It’s the same as the vitamin your body produces when you’re exposed to direct sunlight. Vitamin D3 has a lot of benefits in terms of acne treatment. For one, it can tone down inflammation. The vitamin can also help manage your blood sugar to avoid insulin spikes that can trigger acne. Aside from that, vitamin D3 can also improve your resistance against infection and smoothen out your wrinkles and fine lines. Vitamin A is a common ingredient in skin care products. It’s one of the best vitamins to take for acne. It’s known to have antioxidant properties to help your body fight free radicals and the damages they cause. This vitamin belongs to a class of retinoids that can help get rid of dead skin cells and clogged pores. It can also reduce oil production by limiting the formation of androgen in your body. Fish oil is rich in Omega 3 fatty acids that can help clear up your skin. It soothes inflammation and assists in wound healing. Unfortunately, however, fish oil supplements aren’t for everyone. If you are currently pregnant, nursing or you’re particularly allergic to fish oil, it’s best if you can consult your physician first before adding it to your diet. Not all people are aware of the benefits of Spirulina against acne. The truth is that it actually contains tons nutritional elements that can stop your stubborn breakouts. The supplement contains essential fatty acids, which are helpful in toning down your inflammation. Aside from that, it also contains minerals, like zinc and potassium. Spirulina also has the capability to facilitate wound healing and eliminate free radicals and toxins. Among the products listed in this article, we find Clear-Biotic + as the best vitamin supplement for acne. For one, it comes with probiotics which can help boost your gut health. This means that the supplement can literally clear your blemishes from the inside out. It can boost your immune system while decreasing the causes of inflammation inside your body. If you partner it with the right skincare routine and the best products for your skin type, you’ll be well on your way to clearer skin in no time.